Motorisation of blinds is now becoming more affordable and commonplace. Depending on the particular blinds, they can be 240v, 24v or 12v battery powered and can be controlled by remote control or hard wired to a wall switch. Marla Custom Blinds are an accredited Somfy Expert partner which means that we receive continuous training on Somfy products so we can specify the best product to suit your needs. We have considerable experience on all of the different Somfy options so that you don’t have to think about it. 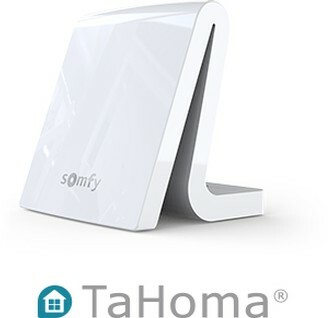 Whether you’re looking for a single motorized awning, motorized blinds or want to automate you’re entire home, the process is effortless with a Somfy expert partner. 240v powered Roller Blinds, raise/lower operation, group control hard wired to wall switches. 12v battery powered Roller Blinds, raise lower operation, individual remote control. 24v powered Pleated Roof Blinds, raise/lower operation, individual and group remote control. 24v powered Vertical Blinds, tilt/traverse operation of louvres, individual remote control. With the new TaHoma® application from Somfy you have complete control of your blinds, curtains, awnings and many other electrical items such as garage doors, lighting, etc. The TaHoma® interface is a simple and user-friendly Web management interface that lets you control all your equipment from a computer, tablet, or smartphone. TaHoma® is compatible with numerous radio protocols, like RTS®, RTD® and io-homecontrol®.